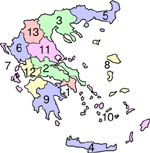 According to Interior Ministry results of the Parliamentary Elections 2012 that took place (on May 6) throughout the country, seven parties are entering the Hellenic Parliament. 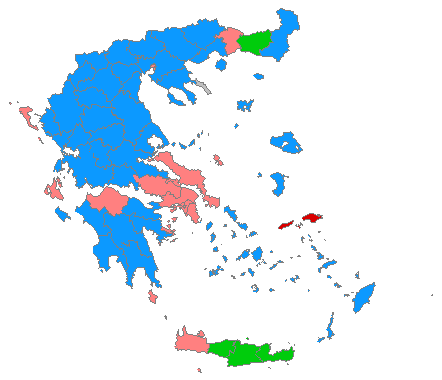 With 110% of the vote counted, the results are as follows: New Democracy (ND) polls first with 18.85% securing 108 seats, the Coalition of Radical Left (SYRIZA) is in second place with 16.78% of vote and 52 seats, PASOK is third with 13.18% and 41 seats, the Independent Greeks party gets 10.6% and 33 seats, the Communist Party of Greece gets 8.48% of vote and 26 seats, Chrysi Avgi (Golden Dawn) 6.97% and 21 seats, and Democratic Left 6.1% of vote and 19 seats. The Popular Orthodox Rally (LAOS) and Eco-Greens with 2.90 % and 2.93% respectively did not manage to pass the minimum 3% threshold, thus failing to enter Parliament. From the 9.949.401 registered citizens, 65.10% participated in the electoral process and 34.9% abstained, while invalid/blank votes reached 2.36%. (ANA) Greece’s new 300-member parliament that emerged from the October 4 general elections was sworn-in on Wednesday morning, in a special ceremony in the unicameral House. The swearing-in took place after the traditional blessing, officiated by Archbishop Ieronymos of Athens and All Greece. 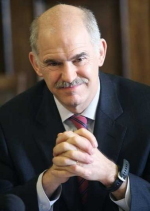 “I swear in the name of the Holy Consubstantial and Indivisible Trinity to keep faith in my Country and in the democratic form of government, obedience to the Constitution and the laws and to discharge conscientiously my duties,” the MPs pledged, with the exception of PASOK MPs Nikos Sifounakis, Maria Damanaki, Spyros Kouvelis and Maya Tsokli, and the MPs of the two Left parties, while the two Muslim deputies elected on the main opposition PASOK party’s tickets in Xanthi and Rodopi took a similar oath with their hand on the Koran. The MPs of the Communist Party of Greece (KKE), with the exception Liana Kanelli, did not take a religious oath, while the MPs of the Coalition of the Radical Left (SYRIZA parliamentary alliance) did not attend the religious party of the ceremony. The KKE and SYRIZA parliamentary groups submitted letters to the parliament presidium endorsing a political oath instead of the religious oath, which is set out in the Greek constitution. 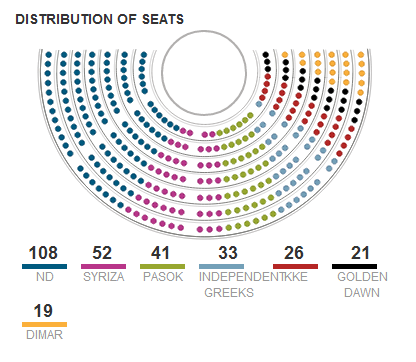 Ruling PASOK holds 160 seats in the new parliament, followed by main opposition New Democracy (ND) with 91 seats, the KKE with 21 seats, the Popular Orthodox Rally (LAOS) with 15 seats, and SYRIZA with 13 seats.